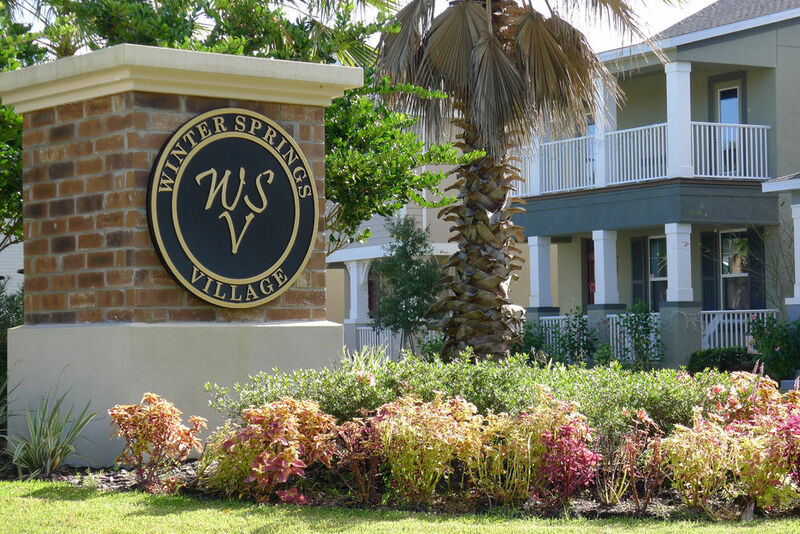 Winter Springs Village is a beautiful community of just less than 200 homes constructed by Meritage Homes and that were sold in 2012 and completed in 2014. 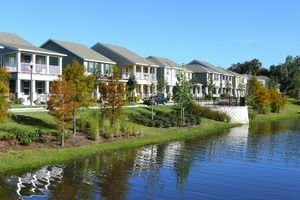 Winter Springs Village is located just short drive to the 417 Expressway and a quick 25 minute commute to downtown Orlando and 15 minutes to Lake Mary. This unique community is conveniently located within walking distance to the Winter Springs Town Center and Winter Springs High School. Jeremy & Jody have helped many buyers purchase a new home in Winter Springs Village. They are experts in Winter Springs and can help SELL your home, too! 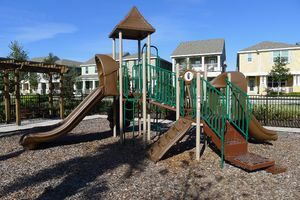 Winter Springs Village is zoned for "Top" rated pubic schools including Layer Elementary School and Indian Trails Middle School. Also, very close to Choices In Learning - a Seminole County Public Charter Elementary School. A fitness lovers dream - Winter Springs Village is just steps to the Cross Seminole Trail, a paved pathway that is over 23 miles in length connecting the Cady Way Trail in Winter Park to the Seminole Wekiva Trail in Lake Mary. Just a short bike ride or walk to Central Winds Park - over 100 acres of pristine baseball, softball, lacrosse, soccer and football fields as well as playgrounds and even a dog park with water views of Lake Jesup. Close walking distance to Publix grocery store, shopping, restaurants, The Zoo Health Club as well as Herba Family Wellness (our personal family Chiropractor) and more. These Energy Star Certified Homes at Winter Springs Village were built to save thousands of dollars on utility costs which ultimately save you more money at the end of each month to spend on the more important things in life rather than the utility companies. What would you do with more money each month? These Winter Springs Village homes were constructed with the latest in Energy Star technology such as spray foam insulation, super thick Low-E vinyl windows and dual flush toilets to name just a few. 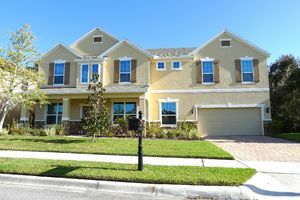 Winter Springs Village has two different home types to meet you and your family's needs. One & Two story homes ranging from 2,200 to over 4,000 sq ft with big yards, some backing to conservation or pond. Two-Story bungalows, some facing conservation ranging from 1,600 to just over 2,000 sq ft that offer care-free yard maintenance as lawn maintenance and irrigation is included in low monthly HOA fee. 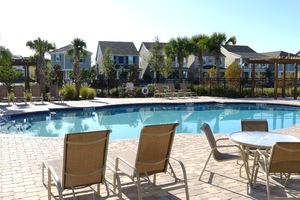 Winter Springs Village community pool, cabana, club house and playground area. Thinking of selling your Winter Springs Village home? We'd like the opportunity to speak to you. 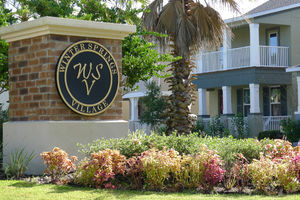 View our selection of available properties in the Winter Springs Village area.